The New Jersey Division of Vocational Rehabilitation Services (DVRS), which receives Federal funding from the Office of Special Education and Rehabilitative Services’ Rehabilitation Services Administration (RSA), is pleased to share Joseph’s success story in honor of National Disability Employment Awareness Month (NDEAM). Following an automobile accident in 2006 resulting in paralysis, Joseph spent several months in physical therapy and rehabilitation and now uses a motorized wheelchair. 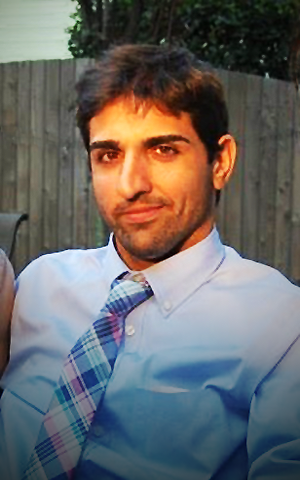 Joseph went on to obtain a Bachelor’s degree in Psychology and a Master’s degree in Rehabilitation Counseling in 2014—both from Rutgers University. Joseph also acquired specialized certificates in physical rehabilitation, supervision, and management. On the employment front, DVRS certified Joseph as eligible for the Schedule A hiring authority with the federal government. After attending a federal job fair, Joseph interviewed with the Social Security Administration, who hired Joseph as a Claims Adjuster in Neptune, N.J. Joseph now works full-time and reports being satisfied with his career path and the services he received from DVRS. A special congratulations to Joseph who recently shared that he is engaged and will be getting married soon! For more information about DVRS, please visit New Jersey’s Career Connections.